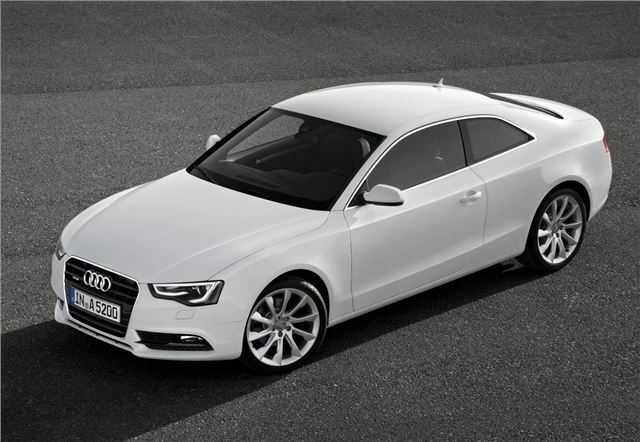 Audi has refreshed the A5 range, with subtle cosmetic enhancements and enhance mechanicals. CO2 emissions are now as low as 122g/km. The new model will be priced from £25,540 when it goes on sale in September, and first deliveries are expected in December. The exterior changes are subtle, including gentle bumper and side skirt changes, as well as remodelled headlights, bringing the styling in line with the rest of the Audi line-up. The cabin has also been enhanced, with improved control buttons, various new steering wheels, a new automatic gear selector and various new trim materials and a refreshed upholstery selection. Additionally there is a new infotainment system option which allows users to connect to the internet when in car, and to use Google maps based sat-nav. However the meat of the enhancements to the A5 are beneath the skin, with various new engines and improvements to current powerplants. The entry level 177PS diesel has been updated and now delivers 60.1mpg and 122g/km of CO2, and a new 3.0-litre V6 TDI replaces the old 2.7-litre unit entirely. Despite the increased capacity, emissions are down to 129g/km when fitted to the front wheel drive Coupe variant. The 3.2-litre petrol engine has been removed from the line-up and in its place is the 3.0-litre supercharged TFSI unit, which is now available across the range instead of just in the Cabriolet and Sportback. The same 3.0-litre engine, albeit in 333PS guise, replaces the V8 previously fitted to the S5, too, but despite the lower capacity performance is improved, with 0-60mph taking 0.2 seconds less than it did with the V8. The entry level model, powered by a 1.8-litre TFSI engine, now produces 10 more horsepower, up to 180PS, but with CO2 emissions down by 21% to 134g/km. Besides the host of engine changes there have been modifications to the suspension, including revised damper rates, and the quattro system to improve handling and performance. Prices start at £25,540 on-the-road for the Sportback, £26,490 for the Coupe and £29,450 for the cabriolet.